In the writings of the Chevalier de Berage, first published in 1747, on the origins of Freemasonry, he states: “Their Metropolitan Lodge is situated on the Mountain of Heredom where the first Lodge was held in Europe and which exists in all its splendour. The General Council is still held there and it is the seal of the Sovereign Grand Master in office. 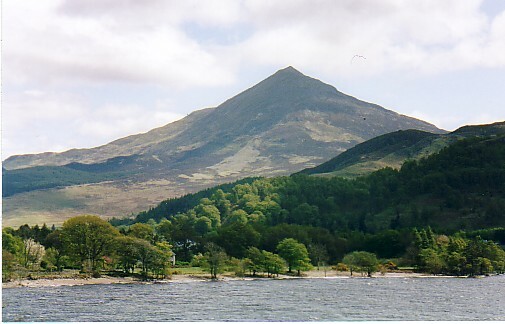 This mountain is situated between the West and North of Scotland at sixty miles from Edinburgh.” If we follow these directions precisely and plot a course mid-northwest from Edinburgh for sixty miles we arrive at Schiehallion, which is to be found at the geographical centre of Scotland. Furthermore, Albert G. MacKay, in his “Lexicon and History of Freemasonry” says that he found the word “Heroden” given in an old manuscript of the Scotch Rites, as the name of a mountain situated in the north west of Scotland, where the first Metropolitan Lodge of Europe was held. From a letter dated 4th October 1814, the then Deputy Grand Master and Governor of the Royal Order of Scotland states: “The Sublime and Royal Chapter of the H. R. D. M. [Heredom] was first constituted on the Holy top of Mount Moriah in the Kingdom of Judea and afterwards re-established by King Robert the Bruce.” Interestingly, after his defeat by English military forces at Methven, in Perthshire, in 1306, the Scots King, Robert the Bruce, retreated into the mountain recesses of central Perthshire and there is a strong tradition of his having taken refuge in a small castle by the north slope of Schiehallion. Coincidence? 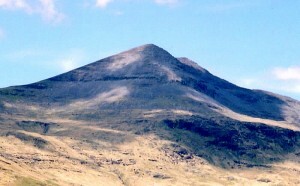 The apparent association of the Royal Chapter of Heredom with Mount Moriah in Palestine may be pertinent when considering the Palestine based ancient Davidic tradition recorded in Psalm 48 which refers to “Mount Zion in the far north”, particularly when bearing in mind the possible connection between Mount Moriah and Schiehallion (Mount Heredom) in central Scotland. Furthermore, Rev. 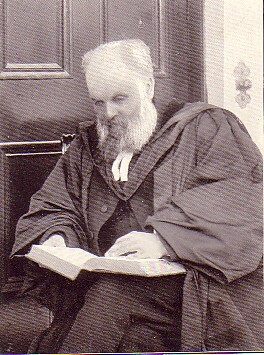 George Oliver, in his Historical Landmarks of Freemasonry (vol. I), informs us: “The Temple Masons were bolder: they met on the summit of mount Moriah. These knights, says the ‘Encyclopaedia Metropolitana,’ were much connected with the Masons, and are supposed to have been frequently initiated among the Syrian fraternity. On the dissolution of their Order, in the 14th century, the Provincial Grand Master of Auvergne, Pierre d’Aumont, with two Commanders and five Knights, fled, disguised as Masons, to one of the Scottish isles, where they found the Grand Commander, Hamptoncourt, and other members of their Order; and they resolved to preserve the institution, if possible, although in secret, and adopted many of the forms of the Freemasons, to conceal their real designs. They held a Chapter on St. John’s day, 1313 (the year preceding the Battle of Bannochburn), when d’Aumont was chosen Grand Master; and in 1361 their seat was removed to Aberdeen.” According to tradition the Scottish isle in question was the Island of Mull. The following curious story related by the Rev. 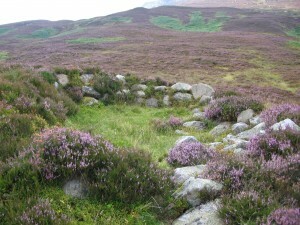 Robert MacDonald, a former minister of Fortingall, in the new Statistical Account for Scotland (Perthshire), published in 1845, may be relevant to the theme of this article: “There is a very remarkable cave near the south-west angle of Sith-chaillinn [Schiehallion], at the ‘Shealing,’ called Tom-a-mhorair, or the Earl’s eminence. Some miles to the east, there is an opening in the face of a rock, which is believed to be the termination thereof. Several stories are told and believed by the credulous, relating to this cave; that the inside thereof is full of chambers or separate apartments, and that, as soon as a person advances a few yards, he comes to a door, which, the moment he enters, closes, as it opened, of its own accord, and prevents his returning.” It is interesting to note that the same minister comments that the local people “may be characterized as intellectual, sober, and industrious in their habits, honest and religious.” Moreover, in Rambles in Breadalbane (1891), the author, Malcolm Ferguson, when writing about Schiehallion, remarks: “It is said that there are a long series of mysterious caves, extending from one side of the mountain to the other.” Interestingly, the Masonic historian and researcher, A. E. Waite, mentions three Templar Knights who found refuge in “the caves of Mount Heredom”. Could the foregoing be indicative of the mysterious Mount Heredom, the high initiatic abode of spiritual adepts, which the Old Testament Prophet, Isaiah, knew as the holy “mount of assembly in the far north” and the Hebrew King David knew as “Mount Zion in the far north”? 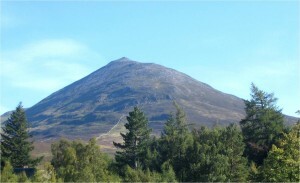 May in Schiehallion, too, behold a Mount of God.